UMass Dartmouth nursing student Hailey Allard, 20, was killed in a car crash involving a police cruiser early Friday morning in Somerset, Massachusetts. 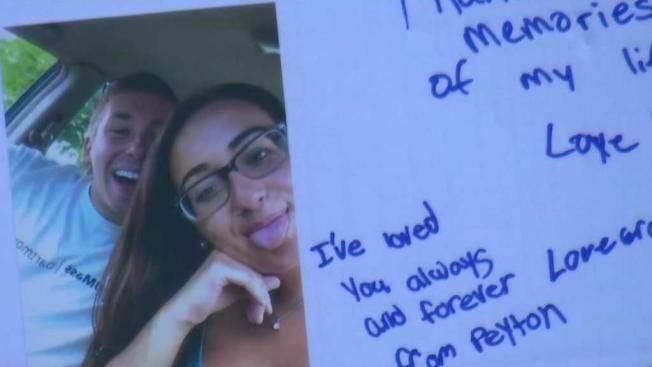 A UMass Dartmouth nursing student was killed in a car crash involving a police cruiser early Friday morning in Somerset, Massachusetts, according to state police. The Somerset police patrol vehicle was responding to a call for a man attempting to break into a truck when it collided with a Honda Civic at 12:35 a.m. near the intersection of Riverside and Westhill avenues. Police identified the officer involved in the crash as Johnathan Neveu, who was hired as a reserve officer in 2012 and became a full-time patrolman in January, 2016. A preliminary investigation shows Neveu was traveling south on Route 138. At the same time, 20-year-old Hailey Allard was driving northbound and approaching a left turn when the vehicles collided. Allard was taken to Charlton Memorial Hospital, where she died. "It appears they collided head-on, so obviously somebody was in some other lane," Somerset Police Chief George McNeil said. "We are all saddened by this horrible tragedy," the Somerset Police Department said in a statement. "Our thoughts and prayers go out to the family of the person who passed away." Allard's family issued a statement calling the crash "a complete and utter tragedy." "Hailey was an exceptional young woman who was full of life and energy. Her smile was infectious and brightened everyone's day," the statement continued. The family said Allard was working two jobs while also pursuing a nursing degree at UMass Dartmouth. "She loved her family with all her heart, especially her two younger brothers. Her mother and father cannot express the heaviness in their hearts and the pain they will carry forever." 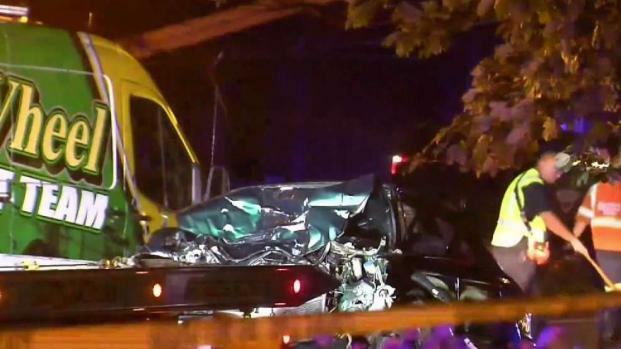 A 20-year-old woman is dead after a crash with a police cruiser in Somerset, Massachusetts. UMass Dartmouth Chancellor Robert E. Johnson sent an email to faculty and staff on Friday informing them of Allard's passing and telling them that counciling services are available to all students. "In her time with us, Hailey made her mark on friends, faculty, and staff," Johnson said. "She has been described to me as a bright, perpetually positive, and hard working student. She constantly demonstrated how much she cared about her fellow students, especially in her work as a resident assistant and mentor to other nursing students." He said Allard's passing "is a reminder to all of us how previous our time on earth is, and the importance of using our limited time to serve others." The officer involved in the crash, Neveu, was taken to Rhode Island Hospital for non-life threatening injuries, according to the Bristol County District Attorney's Office. He was released later Friday morning, police said. "This is an officer, this is a man, this is a father," Mike Murray, a neighbor, said. "I don't know him personally, but he punches in, goes to work every day, and nobody wants to see this happen. And he still tried to help." The cause of the crash remains under investigation. Allard's family said they have not yet been contacted by police.